Tether Tools is always working on creating new products aimed at making our photography more efficient. I met up with my Tether Tool friends at the 2019 WPPI show in Las Vegas and asked them show off two of their newest products. Check out our quick video interview below, then read on to learn a bit more about the ONsite Power System and the Case Air Wireless Tethering System. This ingenious tool allows you to power your devices such as laptops, cameras, LED lights, tablets and phones in locations where there’s no A/C electricity. Use this outdoors, in warehouses where power is a long distance away or even in odd locations like the deck of a boat. The setup uses batteries to power an outlet brick called the D-Tap. This outlet brick has standard A/C power plugs as well as four USB charging ports. Tether Tools earned their place in the photography industry by producing some of the finest wired-tethering solutions on the market. Their products for studio work are excellent, but a lot of photographers have been asking for a wireless tethering solution. Their answer is the Case Air Wireless Tethering System. Currently, the Case Air allows you to wirelessly connect a Nikon or Canon camera to a mobile device or a computer so you can download images remotely. The system creates a local wireless network between the camera and the computer (or tablet or mobile phone). That’s very helpful because you don’t need to use an existing internet connection or Wi-Fi router to function, meaning you can use the Case Air on location in just about any scenario. 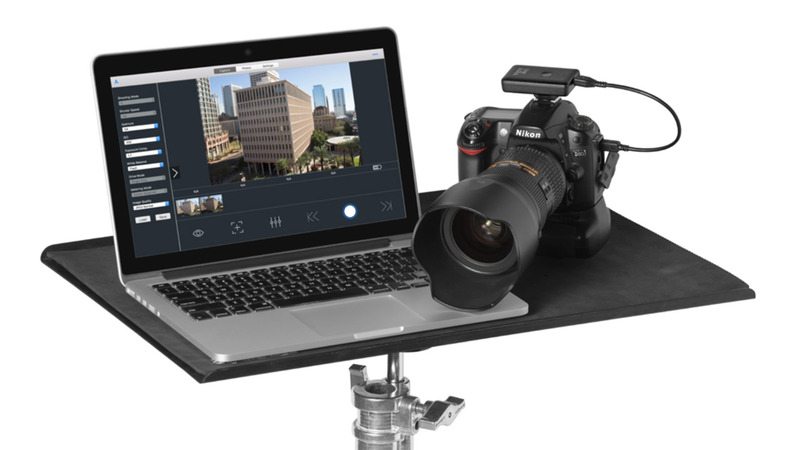 Pair it with the ONsite Power System and you have a truly mobile tethered shooting solution that you can use to impress your clients anywhere in the world.